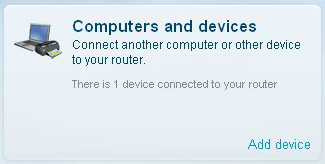 The Linksys Connect software allows your wireless computer to be connected easily. Through Linksys Connect, you can manage your wireless network’s security settings and advanced settings. Installation of the Linksys Connect software is through the Setup CD included with every Linksys Wi-Fi Router. If you do not have the Setup CD or Easy Setup Key, or if your computer does not have a working CD/DVD drive, you can download the Linksys Connect software from the Linksys Connect Product Page. To learn how to set up the router manually using Linksys Connect without using the Setup CD or Easy Setup Key, click here. IMPORTANT: Features like Guest access and Parental controls are not available for the Linksys Wi-Fi Router N300 Simplicity, E900. Adding a desktop computer or a laptop to your network. To learn how to do this, click here. Add a wireless printer so you can print from any computer within your home network. For instructions on connecting a wireless printer, click here. If you would like to learn how to connect a wired USB printer to your router, click here. Connect a game console, mobile phone, and other devices with wireless capability to your network. To learn how to do this, click here. 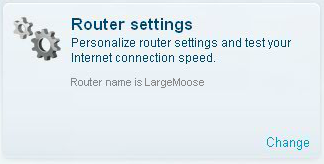 The Router settings function is where you can change some of the default settings of your Linksys Wi-Fi Router, E900. You can personalize the wireless network name (SSID) and password for your wireless home network using this feature. For more instructions on how to do this, click here. QUICK TIP: Choose a unique name for your wireless network so you can easily identify it from other networks in your neighborhood. It is also recommended to choose a strong, unique password that you can easily remember. If you want to change the router’s advanced settings through its web-based setup page, it is advisable to do it through Linksys Connect. To learn how to do this, click here. NOTE: The latest version of Linksys Connect will automatically synchronize any changes in the wireless settings made through the web-based setup page.